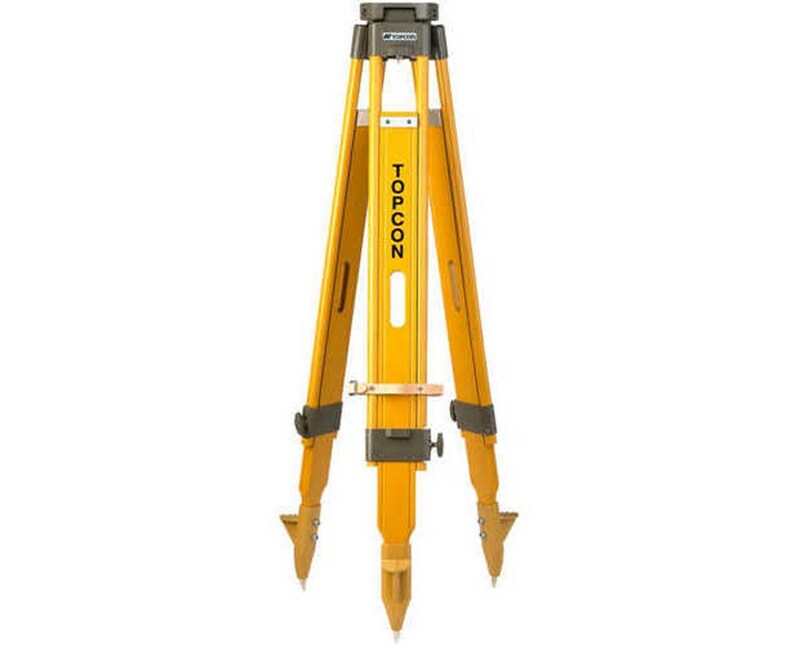 The Topcon TP-10 Heavy Duty Wood Tripod 59010 is strong enough to support some of the most robust equipment. It has self-adjust hinges with nylon bushings for more smooth movement and easy setup. The pointed feet are made of hardened steel, but the tips are replaceable if necessary. Each foot is equipped with oversized spurs for extra firm footing and guard against slipping. You can adjust the legs for a height of up to 68.5 inches. The legs bolt tightly using the sturdy clamps with their large twist screws. 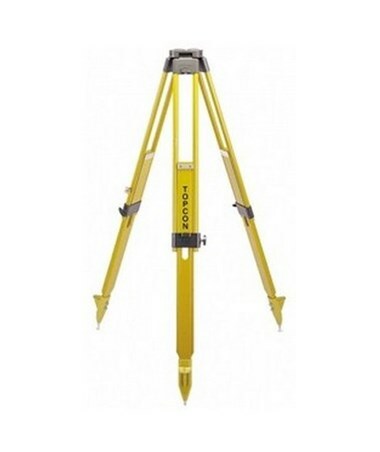 This device has a flat head with 5/8 X 11 threading that is capable of holding heavy, as well as lightweight instruments. 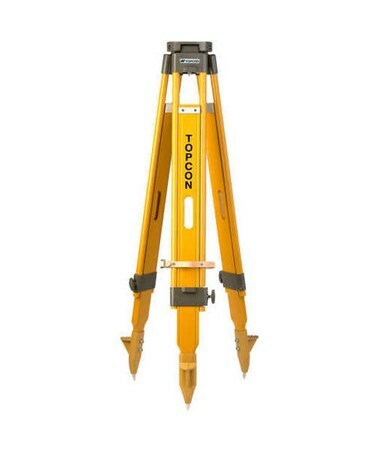 The Topcon TP-10 Heavy Duty Wood Tripod 59010 is yellow with metal hardware, has built-in carrying holes, and includes a plumb bob hook.